Total Marine Solutions and MSC Cruises today announced a global collaboration following successful software trials of Ocean Guardian, which is a software system that lets ship operators access the latest environmental regulations. By the end of July 2018, all MSC Cruises ships will be equipped with Ocean Guardian. While the most widely applied environmental regulations are specified in the International Convention for Prevention from Pollution from Ships and its Annexes (MARPOL), many countries across the globe apply their own rules in waters within their jurisdiction, MSC said, in a prepared statement. These local regulations are modified frequently, making it difficult for ship operators to stay abreast of the most up-to-date rules and guidance. While MSC Cruises’ policy prescribes to always follow the most stringent local or international regulations, Ocean Guardian simplifies the process and ensures accuracy regarding the applicability of international, national, or regional environmental regulations. The database that supports the technology is updated by experienced marine professionals on an ongoing basis, and verified and vetted by a third-party independent maritime law firm to provide accurate information, the company said. As a result, the new system will eliminate the need to continuously review the various handbooks, guides and environmental matrices to determine which regulations apply. On the MSC Cruises fleet, the Ocean Guardian technology is located on the bridge, in the engine control room and in the MSC Maritime Support Center in London, where it is monitored 24/7. The software produces a sound when certain parameters are within range, alerting deck officers on duty. MSC Cruises and Total Marine Solutions conducted successful trials with Ocean Guardian on MSC Divina, while at sea in the Caribbean and will be deploying the technology across the entire fleet. MSC Cruises aggressive fleet expansions plans are set to continue after the brand revealed plans to build a fifth Meraviglia-class vessel. The line announced its decision to build a ship, due to be delivered in 2023, during a ceremony today (June 14) at the Saint-Nazaire shipyard in STX France. The vessel will be the 13th ship to be built during MSC Cruises’ 10-year investment plan which will see the line double its capacity by 2020 and more than triple it by 2026. Pierfrancesco Vago, MSC Cruises’ executive chairman, said: “Our fifth Meraviglia-class cruise ship will bring a new generation of cutting-edge environmental technology to the market, benefiting from a new generation of LNG-powered engines. The line also revealed at the event that the fourth Meraviglia-class vessel would be called MSC Virtuosa, which underwent its steel cutting ceremony today. 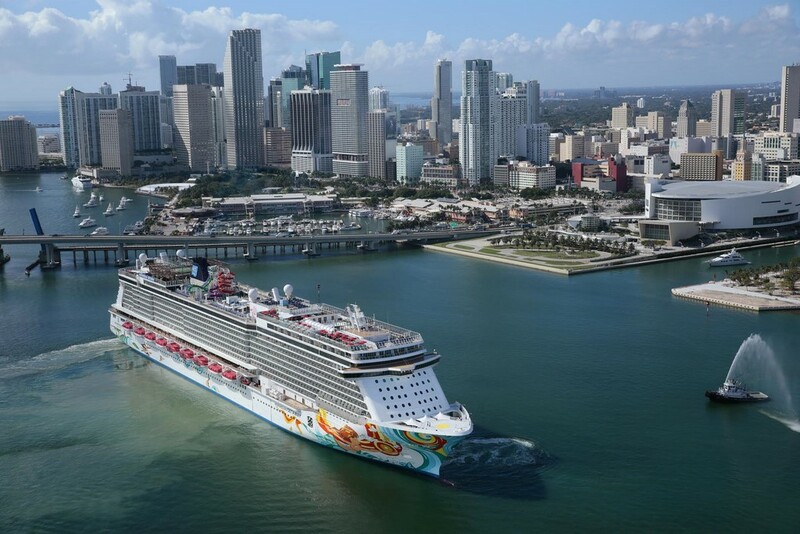 For the first time in Saint-Nazaire’s history, three cruise ships belonging to a single cruise brand are under simultaneous construction at the shipyard. MSC’s agreement with STX France to add another ship to its order book represents an investment of €900 million. Thursday’s event was held to mark three shipbuilding milestones: the steel cutting ceremony of the fourth Meraviglia class vessel, the coin ceremony of MSC Grandiosa and the float of MSC Bellissima. 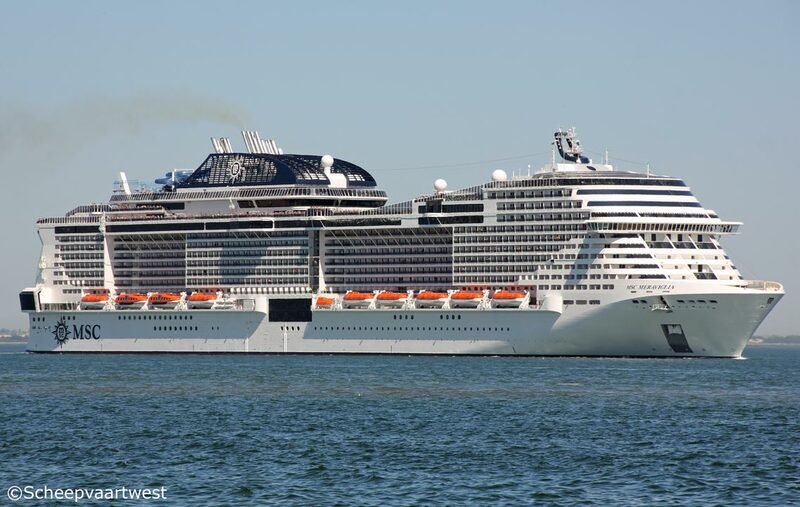 MSC Bellissima will be christened at a ceremony in Southampton on March 2 2019. The event will be attended by more than 2,000 guests, including VIPs and important British stakeholders.